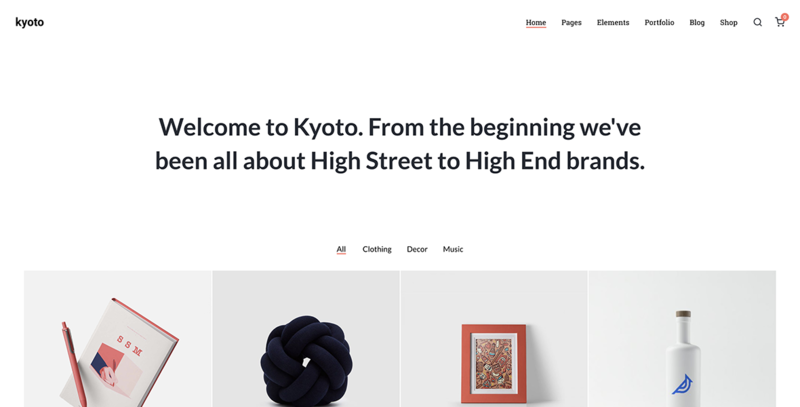 Kyoto is an Innovative WordPress Theme with an amazing layout and has beautiful colors which are destined to make your website very professional, either you are a freelancer, designer or a photographer, Kyoto will be your choice. 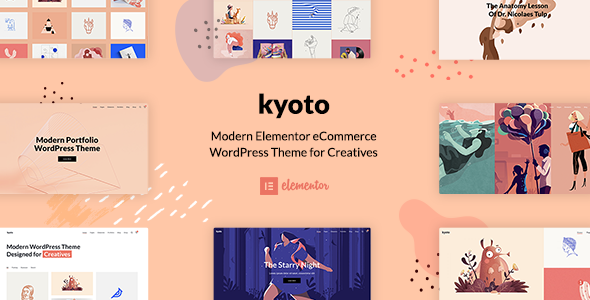 Very powerful features are included to Kyoto, the elements are fully constructed from the fully front-end page builder called Elementor, features like header builder, template library, copy-paste feature, shape dividers, one click demo importer are only of the few features that are already included in Kyoto. 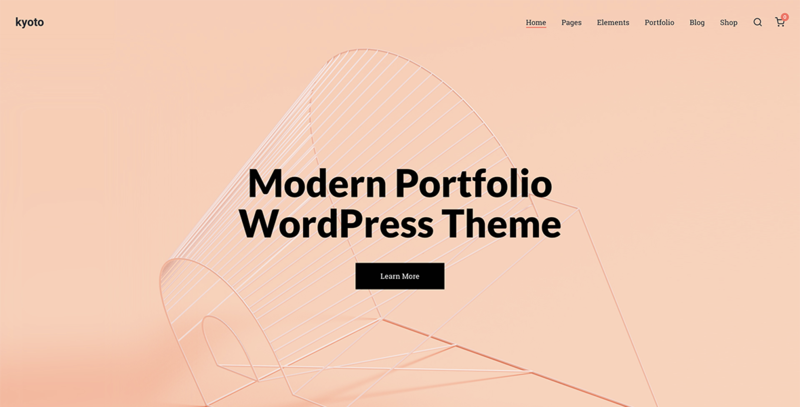 Elementor – Elementor is the ultimate WordPress page builder, the key difference is that you can reach a high level of design while designing live and on the front end of your site. 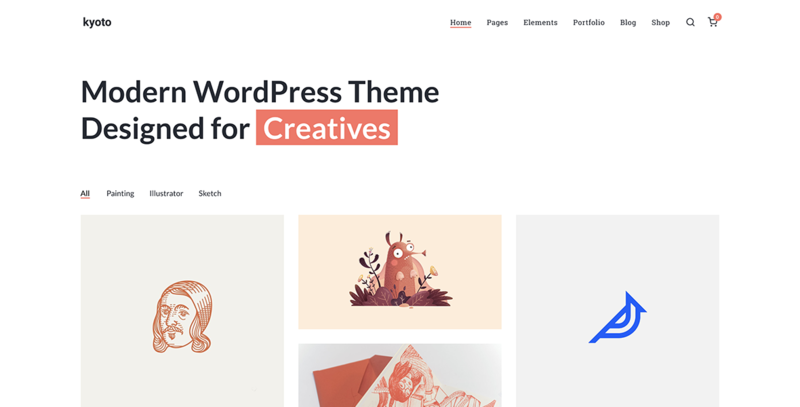 Elementor is a page builder plugin that replaces the basic WordPress editor with a live frontend editor, so you can create complex layouts visually, and design your website live, without having to switch between the editor and the preview mode. 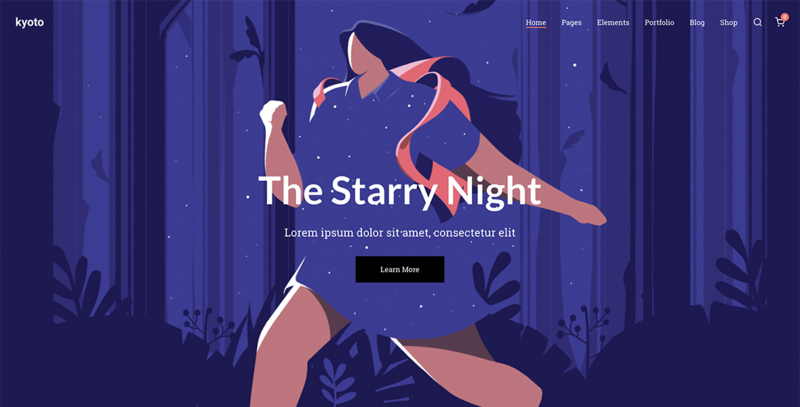 The page builder enables you to reach a top-notch quality of design without needing to use code or CSS and doesn’t require code knowledge. Header & Footer Builder – No limit when it comes to headers and footers, you’ll be able to create an interactive header and footer layout via Elementor with the elements that we created to make it even easier for you, pre-defined headers can be included in the template library in only one click.